In Helsinki, the Grand Duke and Grand Duchess did what one does on a state visit: At the airport, they were welcomed by the Finnish Minister of External Trade and Development, Lenita Toivakka. 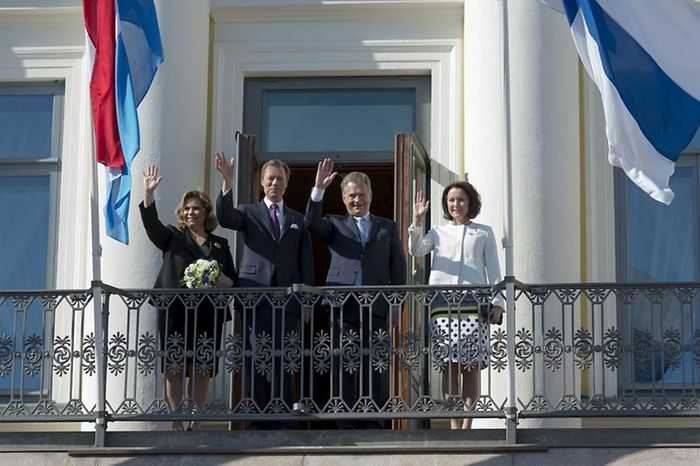 Then they proceeded to the presidential palace where they met with President Sauli Niinisto and his wife Jenni Haukio, their hosts for the coming days. 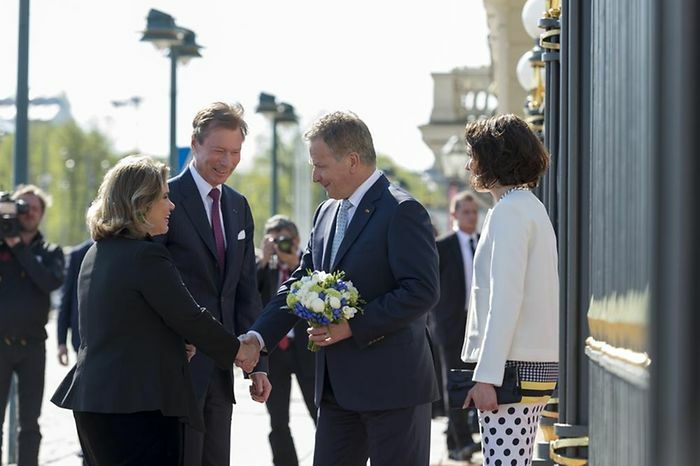 Together they heard the national anthems and greeted the delegation before Grand Duke Henri and President Niinisto reviewed the guard of honour. After the traditional exchange of gifts, both couples appeared on the balcony. Galleries of visuals at Wort, the government, Tageblatt and RTL.